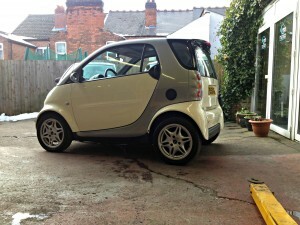 2001 Smart Passion Left Hand Drive £SOLD. 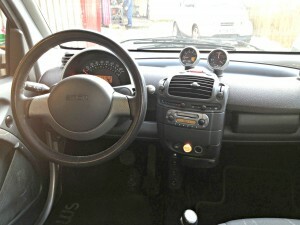 Engine Rebuilt By Ourselves. 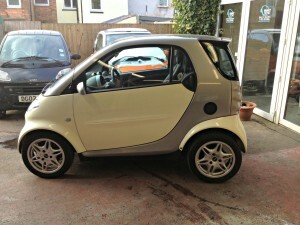 For Sale: 2001 Smart City-Coupe Passion LEFT HAND DRIVE 55 bhp. 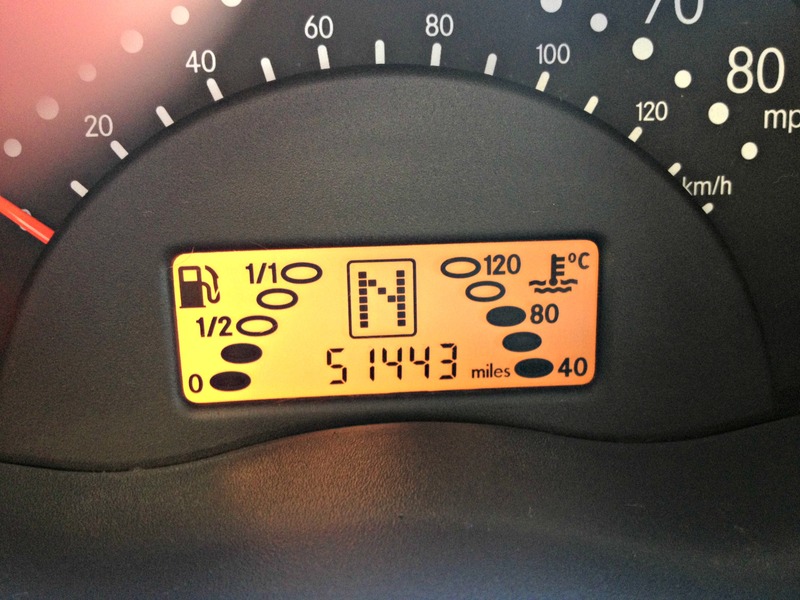 Price: SORRY – NOW SOLD! 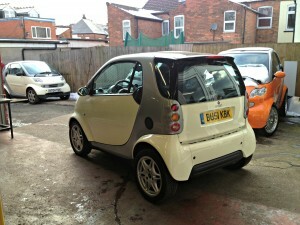 This is a lovely looking Smart car in Lite White with matching Tridion in Silver Metallic. 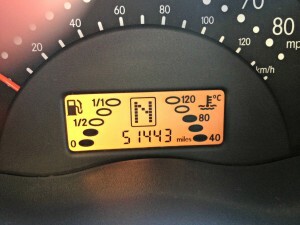 The car has 51,000 miles on the clock and has had A FULL ENGINE REBUILD including new timing chain carried out by ourselves. At the same time this car received new air, fuel and oil filters along with new spark plugs and earth straps, a new battery and new ABS rings. 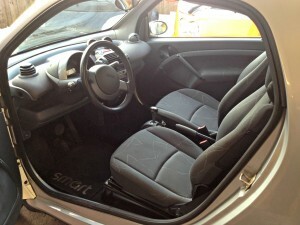 This car is well equipped with Panoramic Roof, Side Airbags, Clock, Rev Counter, Alloy Wheels, Fog Lamps, Soft Touch Fully Automatic Gearbox, Electric Windows and Mirrors. 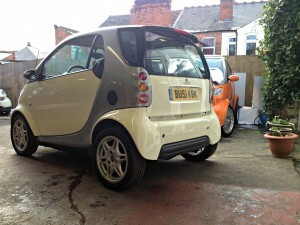 The car is very clean and tidy, it is a very nice looking car indeed, it drives very well and comes with long MOT. Please be aware that when looking to buy a car smart car for under £2000 you can be getting into murky waters. 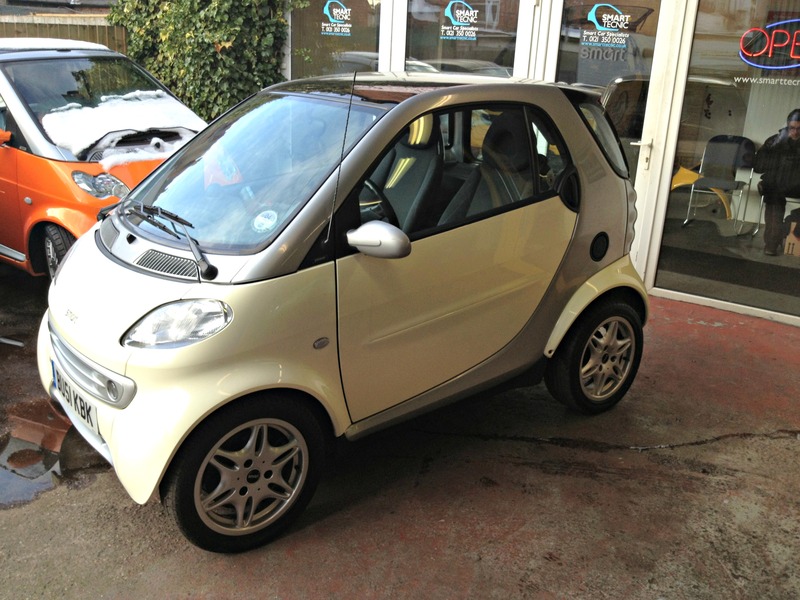 This car is a safe buy, and provided that you are happy with it being left-hand drive (as all smart cars of this age were) then this is the best car available in this price bracket. When buying a Smart car from Smart-TECNIC you are not only buying an excellent, fashionable and economical little car but you are also buying peace of mind. 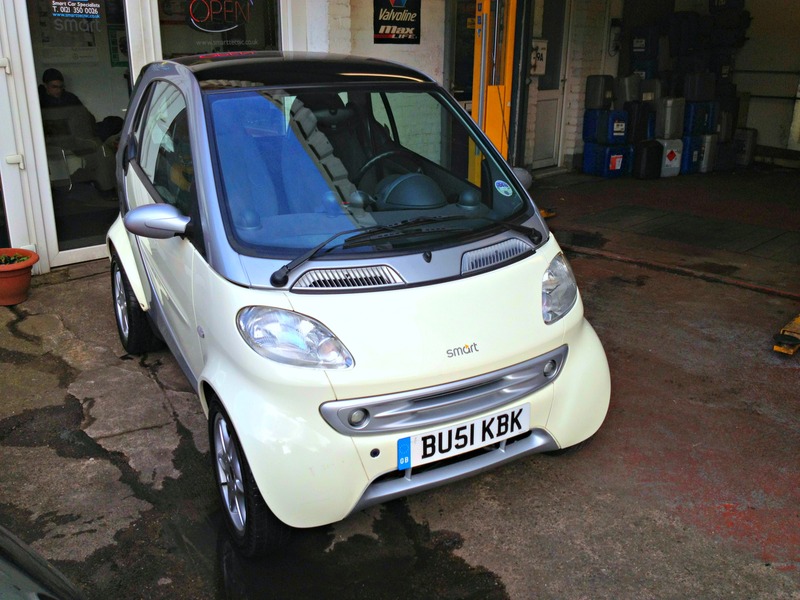 Smart-TECNIC are specialists in Smart cars and know these cars throughout. VERY SORRY, THIS VEHICLE NOW SOLD!